Hello! The theme over at Creative with Stamps this month is Flags. Here's a little mid-month inspiration! 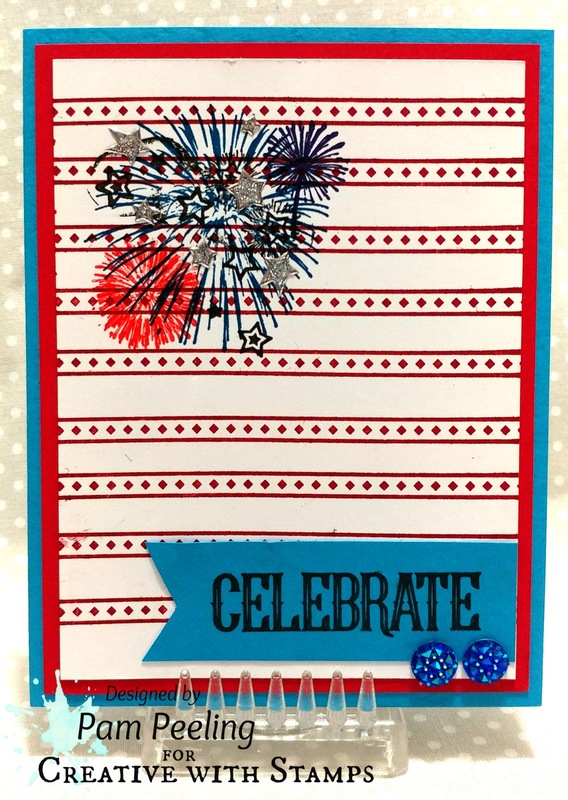 I used the Club Scrap Firecracker collection to make my card. All unmounted rubber stamp images are from this kit. Even the background stripes! That was a little challenging but I used my Tim Holtz stamp platform to help me keep everything straight and spaced correctly. It took me a couple of tries but I finally got it! You still have time to link up a flags themed card of your own! I love how you created a flag with the stripes! Love your stripy flag, and those fireworks look great stamped on top. Great take on the challenge word!